Carrying 'the force of optics' legacy forward, Vortex accessories are made to ensure you have a fruitful day at the range come what may. Not only do they complement the lethal combination of the rifle and the scope but also become indispensable for making the entire process fun and safe. In the offing are renditions like Vortex Magnifier Swing Mounts, Vortex Flip Cap Covers, Vortex Bubble Level (for 30mm riflescope tube), Vortex Scope Rings (for 35mm tube), Precision Matched Scope Rings (for 30mm tube), Vortex Cantilever Ring Mount (for 30mm tube) and Vortex Switchview Throw Lever, to begin with. The list is further complemented with shooting accessories like Car Window Mounts, Multipurpose Tripods, Copperhead Monopods, etc. to help the user make the cut in the most diverse situations and difficult conditions. 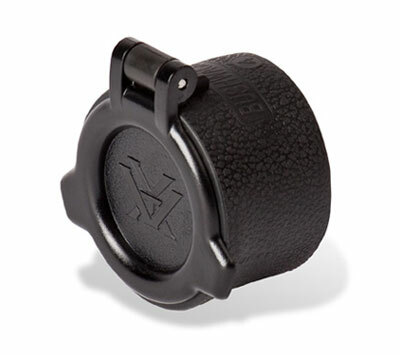 To sum it up, Vortex Accessories have been built with precision and greatly contribute in making the hunting gear replete with things that you need the most. They boast of superior quality and made to effortlessly survive the ravages of time. Take your pick and build your collection today!